In Dallas, TX 55 years ago today we lost John F. Kennedy in a tragic assassination. We pause today in the middle of this serotonin-induced holocaust, which I have come to call World War III, to honor the 35th president of the United States, John F. Kennedy. 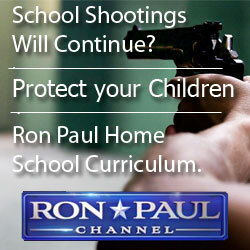 This is a war being waged against us all via chemical warfare rather than guns. And after 3 decades of research into these serotonergic drugs I have come to firmly believe President Kennedy was murdered because of his attempt to prevent this from happening to us all which I will explain in detail as you read on. Because this tragedy happened so long ago before many of you were born, you never had the opportunity to learn much about President Kennedy or the goals he had for our country. Here is a 5 minute YouTube video posted this morning of him speaking about his plans to put an end to this secret society working to destroy our country, our freedoms & our very lives – our modern day Trojan horse – pharmaceuticals…. 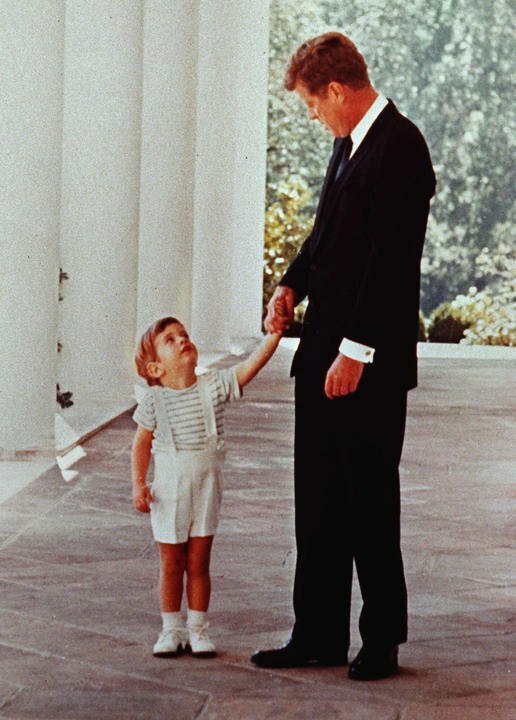 President Kennedy had a son while serving as president, John, Jr. who was only 3 when his father was assasinated. 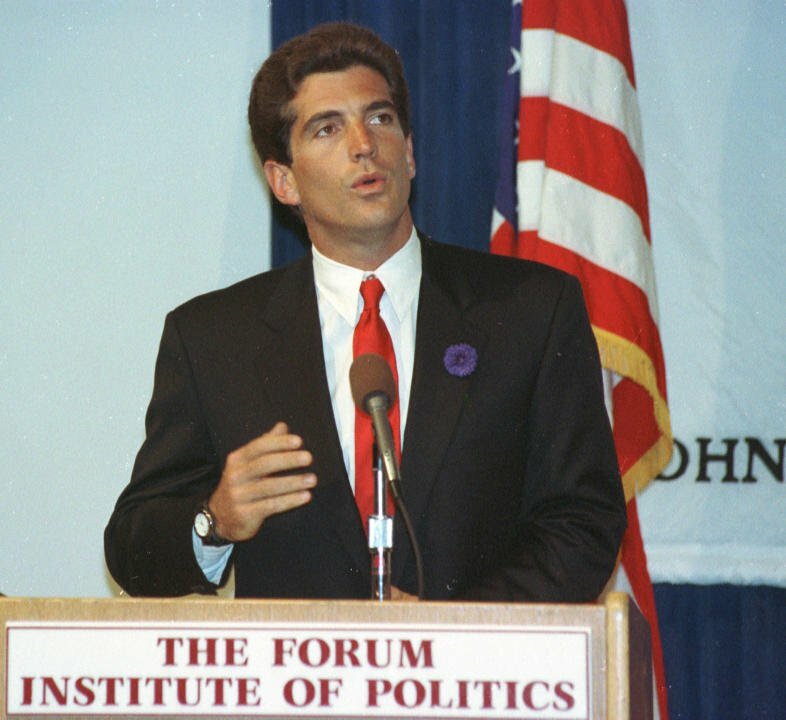 Sadly in July of 1999 we we’re given the news that we lost his son JFK, Jr. in a plane crash just before he was to announce his run for senator in New York State against Hillary Clinton. As everyone loved him there was no question that he would have won that race. 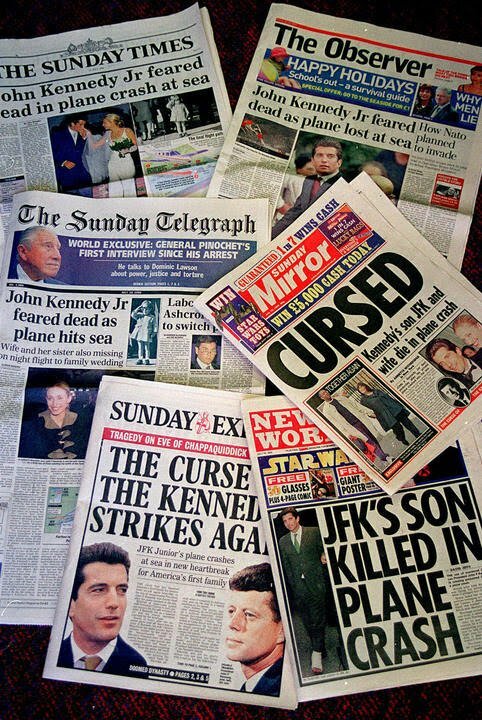 But John had once made the following statement about the death of his father, “I will expose my father’s killers no matter who they are – even if I have to bring down the government.” … JFK, Jr.
John, Jr’s mother, it is rumored, thought Lyndon Johnson had something to do with her husband’s death. But who did John blame for his father’s death? 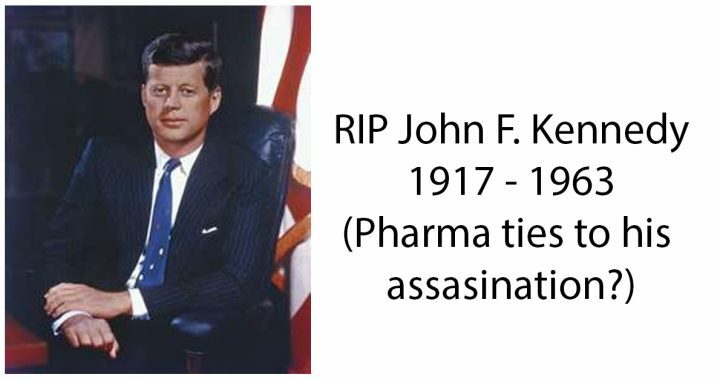 He blamed George Bush, Sr., whose father worked closely with the Nazi’s, had extensive ties to Pharma & later headed the same group I always thought was behind his death, the CIA, who President Kennedy wanted to dissolve along with the Federal Reserve. I do hope you noticed in the short video above that President Kennedy, like President Trump, also went after the press & had little good to say about them. And seemingly unbeknownst to most Americans JFK, Jr. & President Trump were friends. It also appears that what President Trump has been saying about going after the “Deep State” is no different than what President Kennedy was saying about going after this “secret group” behind our government, a “shadow government”. While working for Fox News Douglas Kennedy did more reporting on the dangers of antidepressants than any other news reporter in the world. 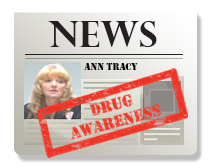 He understood the issues surrounding these drugs very well & worked hard to get the warning out about them. Sadly, as with all of us, family can be the most difficult to teach about these drugs, & Douglas lost a sister-in-law to a Zoloft-induced suicide, Robert Kennedy, Jr’s wife. Hopefully her children understand & as all children they retain their right to file a wrongful death suit for a parent until 2 years after they turn 21. And I just learned tonight of more of my own close family members in trouble on these drugs. For those of you who have read my book you will already see many of those connections. And I will include below one section of the book that does go into that. Where to begin? 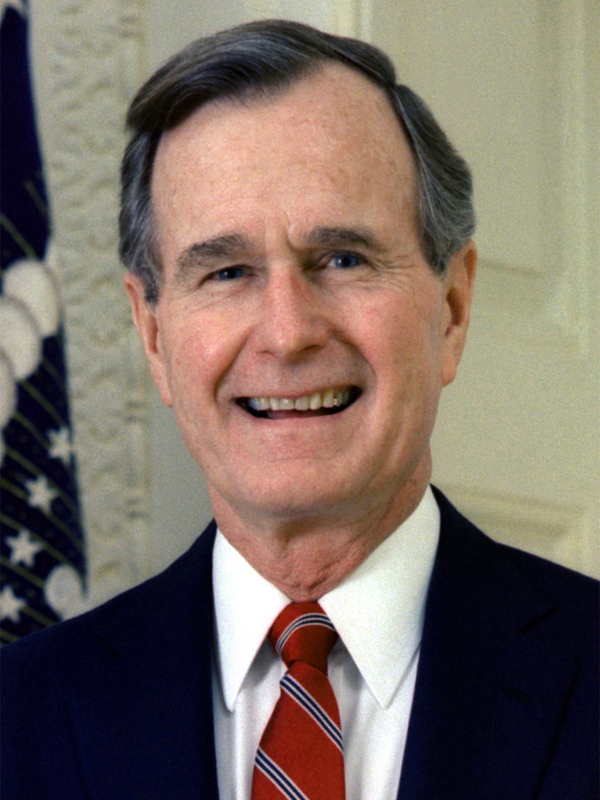 First there was Preston Bush, George Sr.’s father, & grandfather to our latest President Bush. 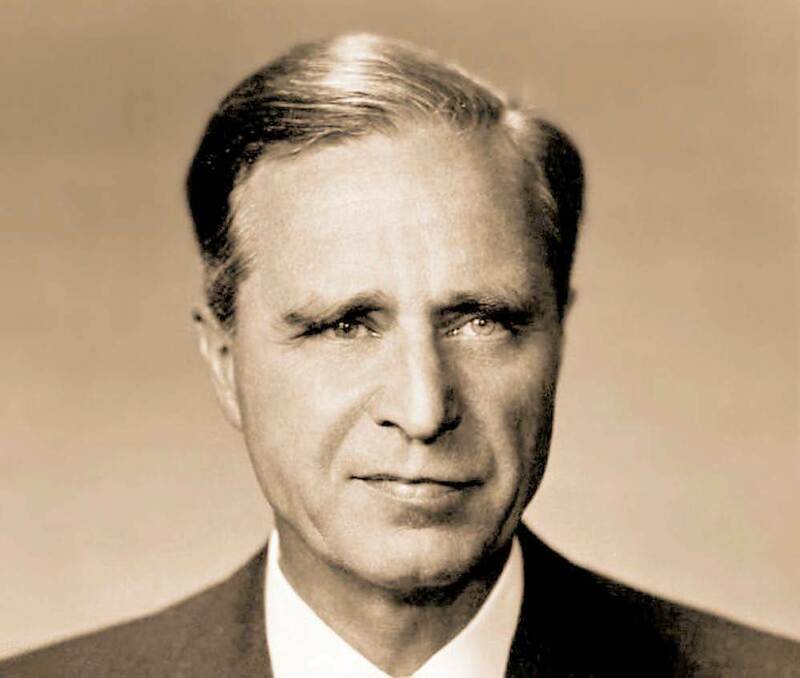 He was a US Senator who helped to fund both sides of WWII, & had close enough ties to Hitler, I G Farben, eugenics, population control, & the Nazi’s that according to what we now know he should have been prosecuted for high crimes. Was involved in getting the European headquarters for the CIA set up in the IG Farben pharmaceutical head office! 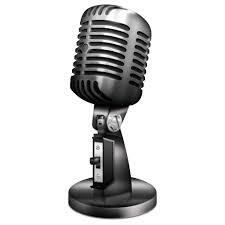 If you click & listen to the following link from about the 42 minute mark to the end you will find that information. And during the CIAs’ Operation Paperclip, which apparently both Preston Bush & George Sr were involved with, 1600 Nazi scientists were brought to America to continue their research! “After leaving the CIA in 1977, Bush was made director of Eli Lilly by none other than Dan Quayle’s father and family, who owned controlling interest in the Lilly company and the Indianapolis Star. Dan Quayle later acted as go-between for drug kingpins, gun runners, and government officials in the Iran-Contra scandals. 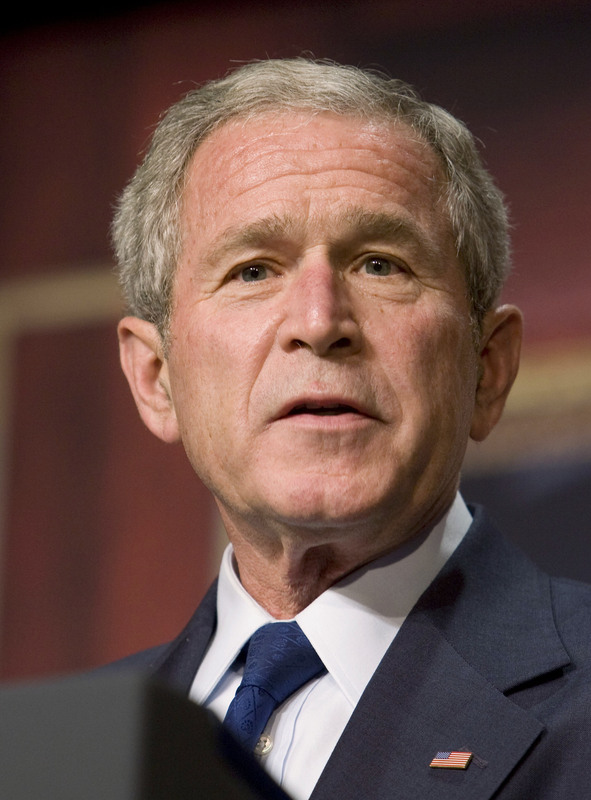 “The entire Bush family was large stockholders in Lilly, Abbott, Bristol, and Pfizer, etc. After Bush’s disclosure of assets in 1979, it became public that Bush’s family still had a large interest in Pfizer and substantial amounts of stock in the other aforementioned drug companies. “In fact, Bush actively lobbied illegally both within and without the Administration as Vice President in 1981 to permit drug companies to dump more unwanted, obsolete, or, especially, domestically-banned substances on unsuspecting Third World countries. “While Vice President, Bush continued to illegally act on behalf of pharmaceutical companies by personally going to the IRS for special tax breaks for certain drug companies (e.g. Lilly) manufacturing in Puerto Rico. Apparently once George, Sr. became President he used different powers to assist his friends in the pharmaceutical industry. As Eli Lilly prepared to bring their first SSRI antidepressant to the market they needed a favor & knew who had vested interests to help them. So the current President Bush changed the laws at the FDA to allow for “Fast Track” approvals of pharmaceuticals allowing Prozac to be approved on only 5 & 6 week studies. And several years later as George, Jr became president he tacked on a policy to a bill to prevent lawsuits for damages against pharmaceuticals. 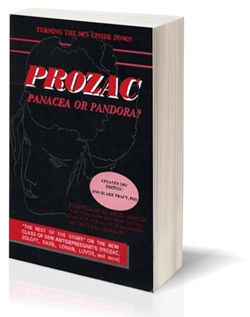 And to get the full picture behind the CIA & their interest in getting these drugs on the market after Congress banned their drug if choice for mind control you can find all that explained in the following post from that section of my book on these drugs, Prozac: Panacea or Pandora? Our Serotonin Nightmare! 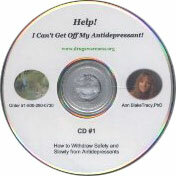 antidepressant can produce suicide, hostility or psychosis. counseling is supposed to help that be less fatal. that black is white and day is night all day long. occurred after the person lost his job. job-related suicide in the first half of 2008. Vanderburgh County ended the year with a record 40 self-inflicted deaths. end, and are on pace this year to finish down again. span last year, 14 in all of 2008 and 16 in all of 2007.
prevents her from ruling those deaths intentional. died here after being airlifted to an Evansville hospital. brochures and billboards that increase awareness. and Groves said studies show doing both works best.